Hygge popped up in the search results. Carey is up to some pretty important work. She is wife, mother of two – a toddler and a baby under six months – as well as CEO and Founder of Milkful, the wholesome, gourmet lactation oat bar company, a business idea that came to her in a personal time of need. Prior to motherhood, Carey worked for eight years for Carolinas Healthcare System’s Levine Cancer Institute. And, at the same time, went through the bakery arts program at the Art Institute of Charlotte. As an avid baker and foodie, she started baking cakes on the side – it was a lot of fun and a lot of work. But, Carey started to struggle to produce milk; she wasn’t making enough and feared having to give up breastfeeding before she wanted to. She shared her frustration with friends who experienced similar struggles. They recommended lactation cookies. Despite the frustration of having to let go of breastfeeding her daughter before she wanted to , Carey was starting to think more seriously about creating a product to help mothers struggling as she was: a granola-like lactation bar to stimulate a mother’s milk supply. Carey, ever the foodie, felt the itch to get back to baking and experimenting in the kitchen. To do it well, she did tremendous research on galactagogues, foods or ingredients that promote or increase the flow of a mother’s milk supply, foods including (but not limited to) whole grains, like oat, black sesame seeds and flax seed. And she spent just as much time then perfecting the recipes. 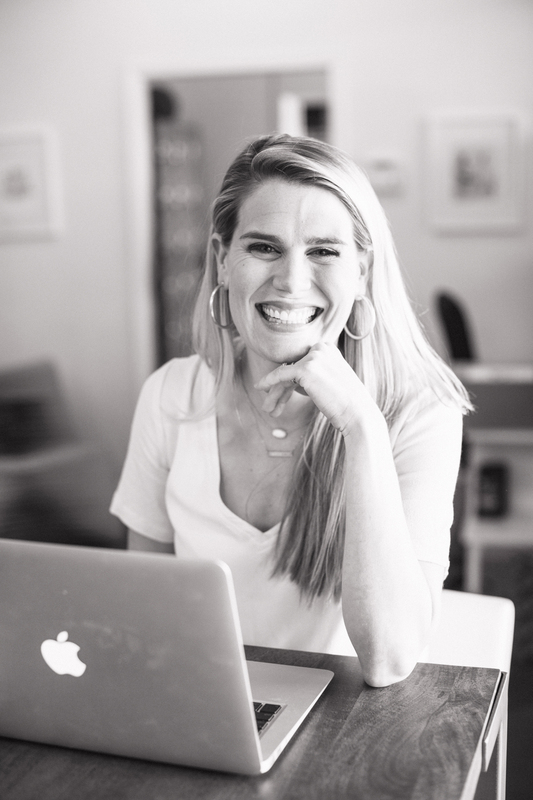 A little over two years from her initial frustration, Carey had created a company that was unique combination of her previous life in healthcare and food – and, more importantly, a reflection of her journey as a mother. Then, in October 2016, Milkful started to take off. They shifted from grass roots marketing to more serious promotion. And the market responded – positively. 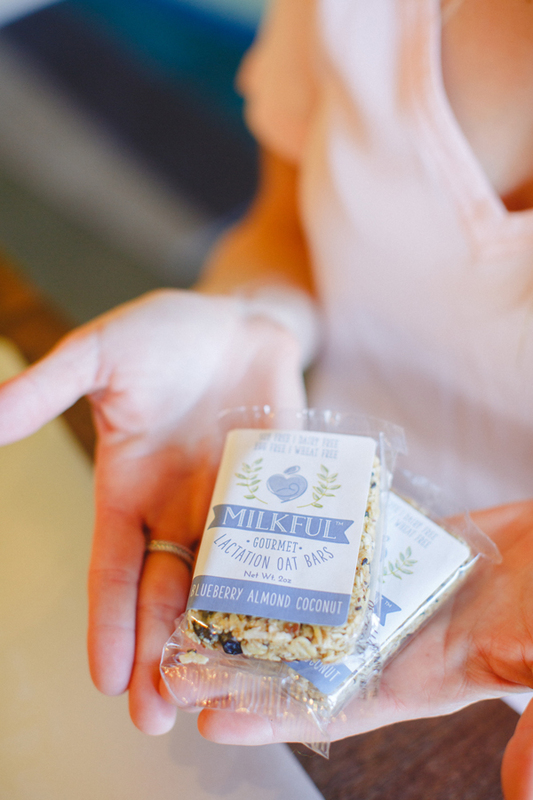 Today, Milkful sell three different flavor bars: Blueberry Almond Coconut, Chocolate Banana Nut, and Maple Walnut. All bars are manufactured at Golden Grains Bakery in Charlotte. They ship approximately 10,000 bars a week all over the United States. They’re on the cusp of serious growth and a need to invest in new equipment to support that growth. Though it’s different for every woman, she’s heard success stories ranging from production doubling after eating one Milkful bar to an increase in a number of ounces – and an increase in ounces can be a huge win for a breastfeeding mother. Personally, Carey has been able to breastfeed her second child Isla, longer than her first child since starting Milkful. Carey speaks of Milkful as both rewarding and stressful – in great ways. With two, small daughters at home and a young business on the cusp of growth, you have to wonder how she does it. 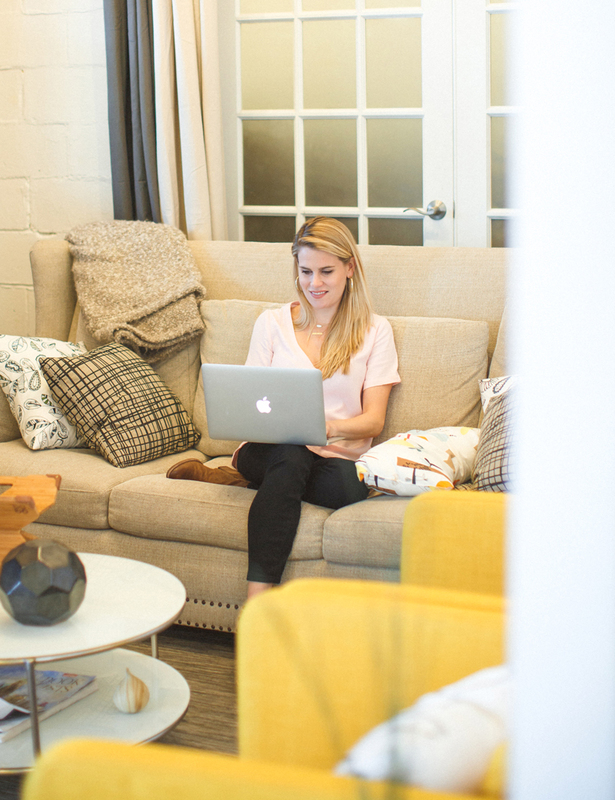 Carey has learned to leverage her resources – Hygge being one of them. You can find more about Dina on her website here, Facebook and Instagram.